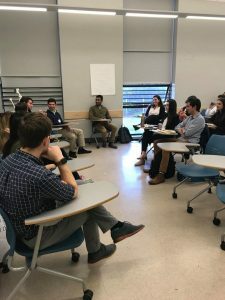 On February 11, UC Berkeley hosted its Second Annual Pro Member Panel where previous TAMID undergraduate members and founders from campuses all over the country joined current TAMID members in an event filled with discussion, networking, and great energy. The companies represented were Bertram Capital, Medhacks, Accenture, Flexport, LinkedIn and Zenput. Present were Pro Members Soraya Hoberman, Ron Boger, Merrick Jacob, Eytan Davidovits, Andy Linder and David Mostovoy. The members of UC Berkeley’s TAMID were excited for this extremely anticipated event and were eager to here each Pro Members insights, from Soraya’s funny stories about navigating the politics of a large corporation, to David Mostovoy’s candid thoughts about the sales career path. During the panel, the moderator, Rudy Venguswamy, surveyed the members and brought out fascinating discussions between the Pro Members regarding career paths, industry experience, and the importance of selecting a major that one truly resonates with. Berkeley TAMID was especially engaged in the conversations over the future plans of the Pro Member Network. Members asked the panel about plans for graduate school and how they planned to grow in their respective careers. 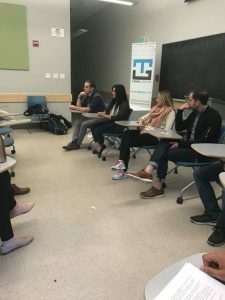 The event occurred in context of a much larger push from the Bay Area Pro Member Network and Berkeley TAMID to connect students to the professionals who were once TAMID undergraduate students. 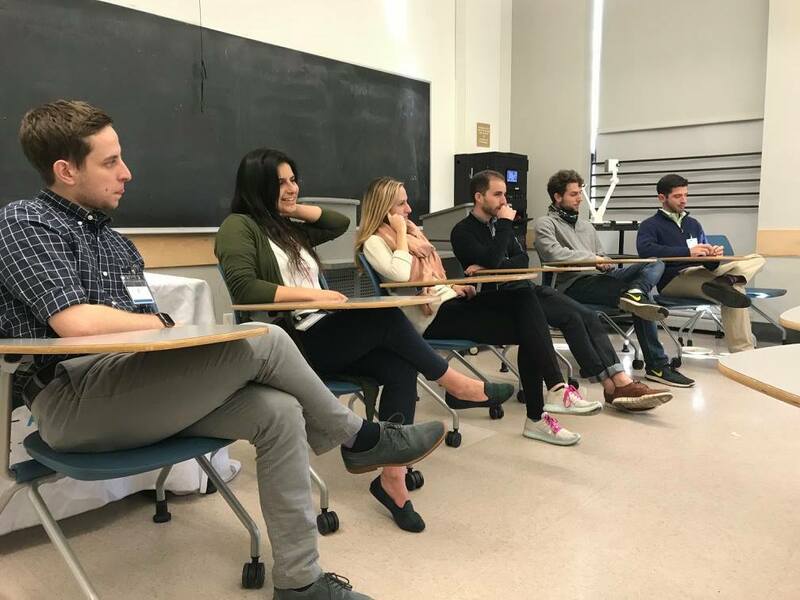 Many of the Pro Members present were part of Berkeley TAMID’s “Alumni Mentorship Program” and had met up with students to discuss personal career advice in San Francisco over coffee. Berkeley TAMID in turn, also looks forward to engaging with this network more closely through follow up events and helping its graduating seniors transition into the Pro Member network.